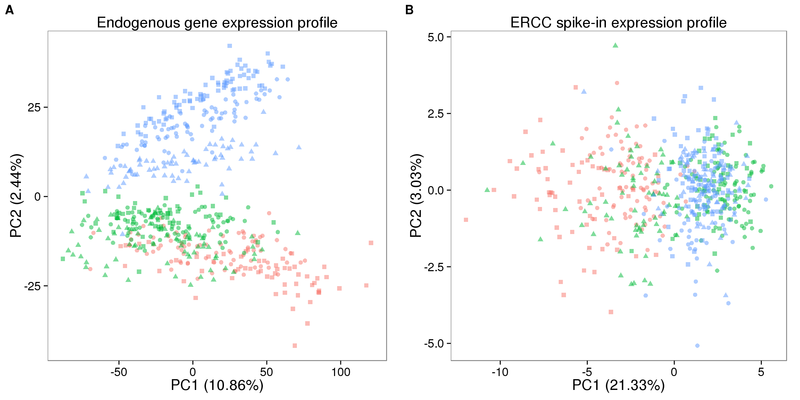 Recreate the Sequencing depth and cellular RNA content using updated data files to make figures for the paper. Input single cell observational quality control data. Incorporate informatin on cell number, concentration, and TRA1-60 status. 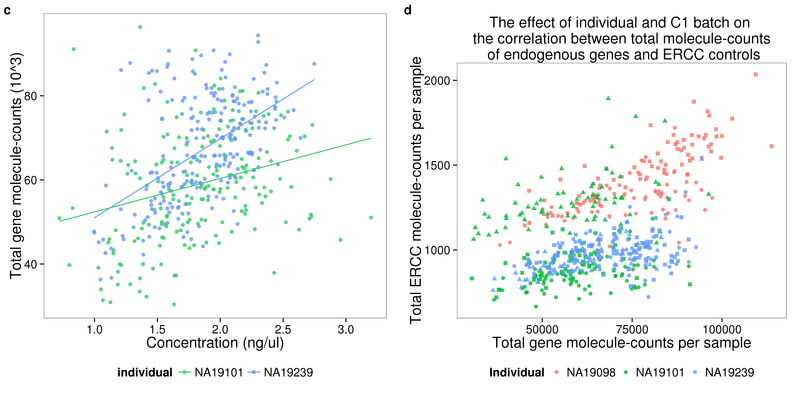 For wells with a single cell observed, the total molecule-counts range from 30408 to 113832, the first quartile for the total number of gene molecules is 55561.25, and the third quartile is 78173.25. 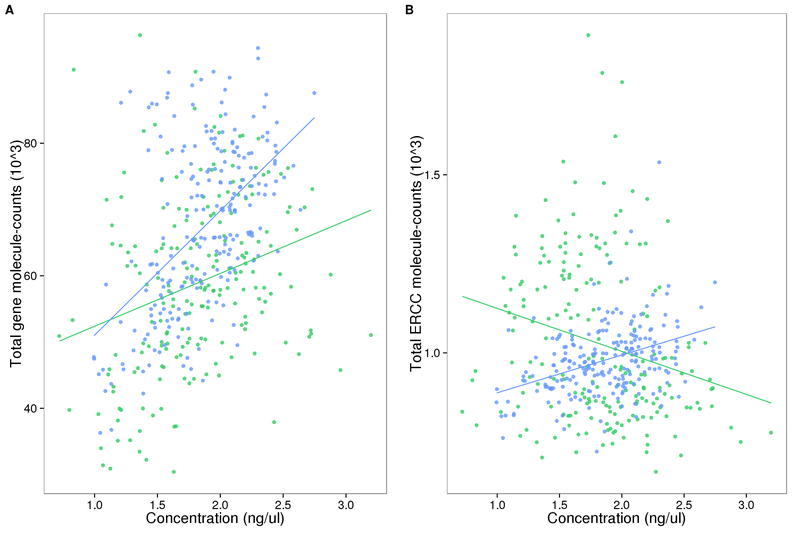 As we try to understand the general relationships between sequencing results and cellular mRNA content, we remove outlier batches. 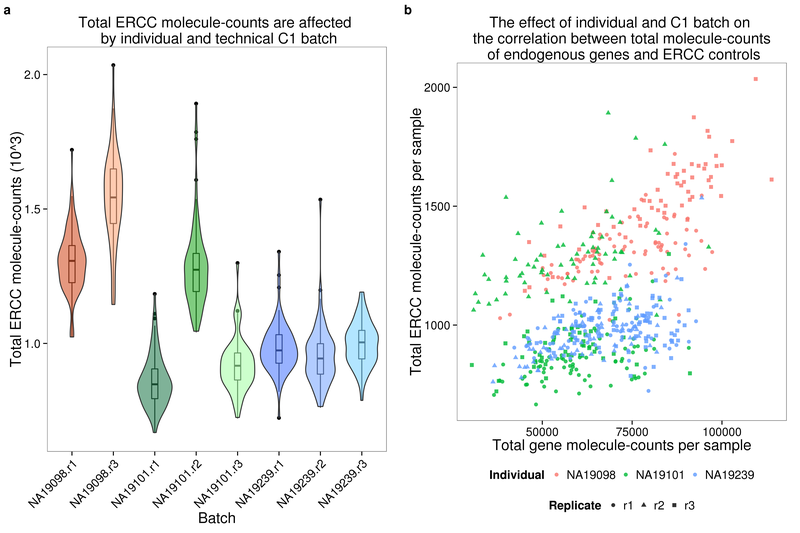 NA19098 replicate 1 failed the quantification of the concentration of the single cells and was hence removed. 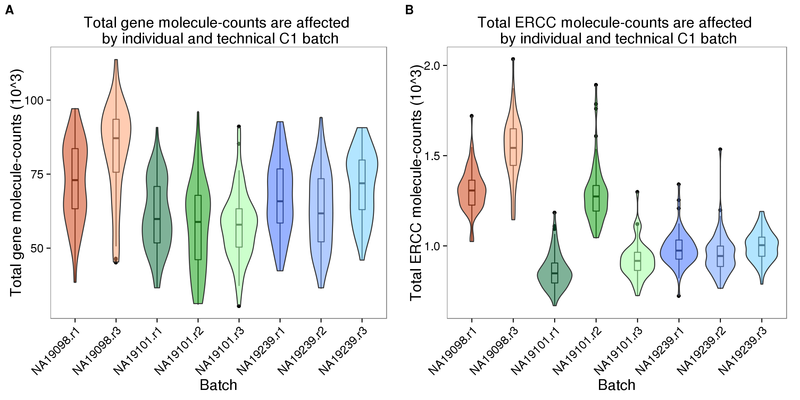 Because NA19098 concentration is only quantified in one replicate, we removed NA19098 from analysis involving batch differences and concentration.